This exhibition is not to be missed! Opening reception is this Sunday, Feb 28th from 2-5pm. 1086 Burnhamthorpe Rd. E., Oakville. We can't wait to share it with you. "Prominent designers such as Brian Gluckstein, Greta Valen and Michael Doyle select his work when they are sculpting stylish interiors for their rich and famous clients...."
"In creating the work for this debut exhibition, Levinson has used his camera as cameras often want to be used: as creators of dreamscapes, as traps for fugitive weathers and atmospheres we can hardly see, but only sense. The results of Levinson's Labor come in two formats. One is a series of large-scale Cibachrome prints, with the fingernail-polish gloss that process inevitably gives to anything printed with it. The other series, abruptly more soft, yielding and romantic, has been made by printing digital images of landscape on heavy water color paper." "Some of the best work I have seen in years." "His work is represented in many private collections. 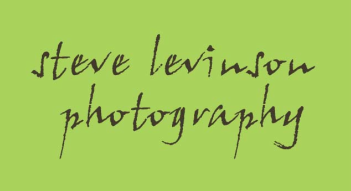 Steve's exhibition is a must-see!" "(The selected work) has the 'Wow' Factor!" - Adjudicators, Victoria Hall Juried Art Exhibit, Cobourg, Ont.